As an IT professional, I’ve made it my business and pleasure to use various social networks and communications tools, from the BBS system in the 80s, to IRC and instant messenger in the 90s, to the social networks of the 2000s. After reading this article about ham radio as a social network, I realize that amateur radio has always had its place amongst the best ways to communicate with others around the world, and we’ve been doing it in various ways for over a century. Furthermore, it’s kept up with the times. 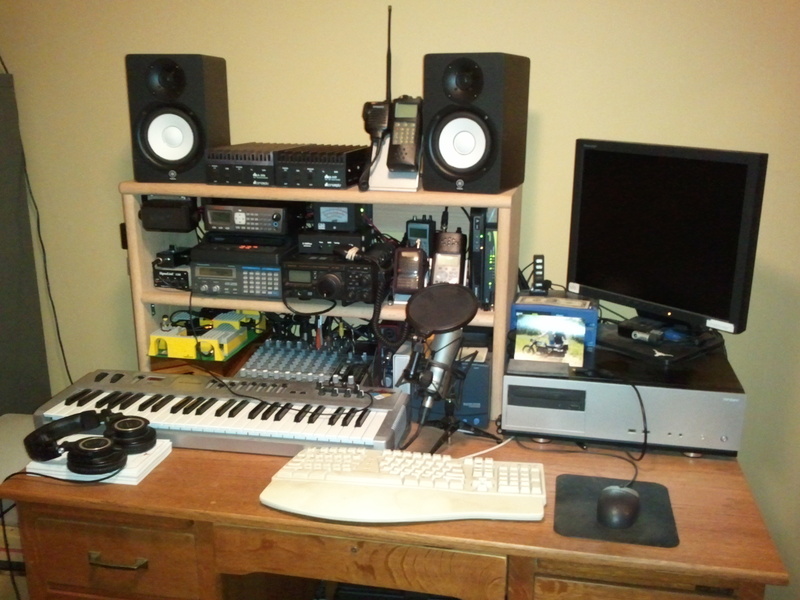 21st century amateur radio is cutting edge and tons of fun. 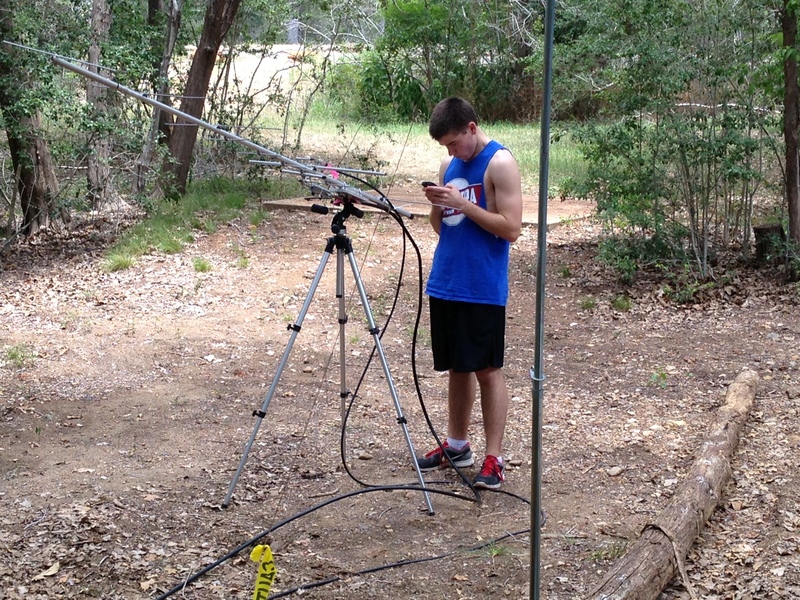 Austin has a vibrant amateur radio community. Listening to the local airwaves on this page, especially during drive time, reveals many channels with several people talking about everything under the sun at any given time. This microcosm of FM chat is repeated in all the major metro areas all over the world, many of which are linked together, and that doesn’t even count the worldwide HF activity. Naturally, I participate in other social networks. 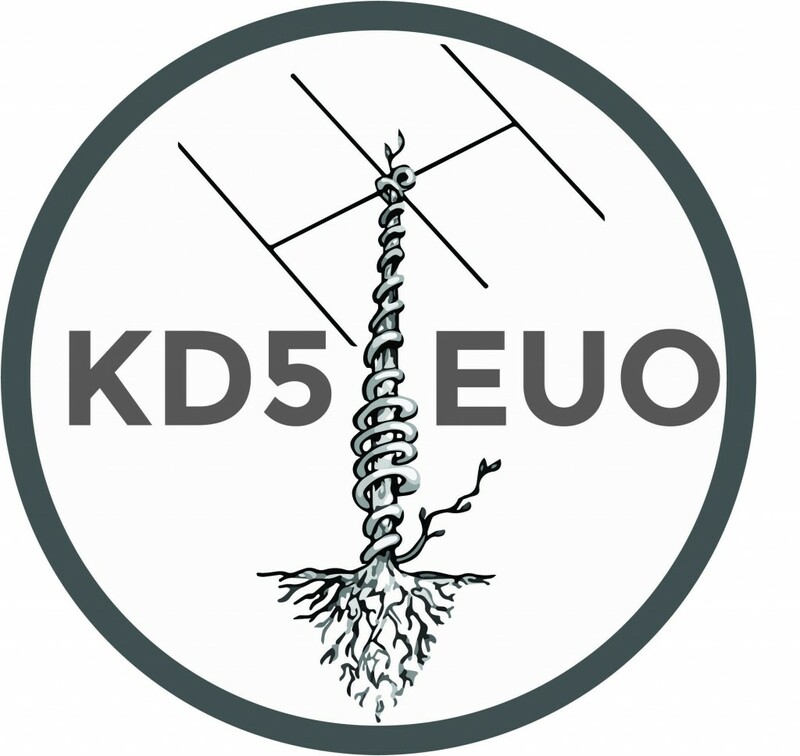 There’s the KD5EUO page on Tumblr, and many of my posts are also on my Twitter page. But the best social network is one you actually have to study for to become qualified to use. Visit the Amateur Radio Relay League’s “Getting Licensed” page to find out how you can study for the exam and find a place to take the exam locally, and then join the best social network. 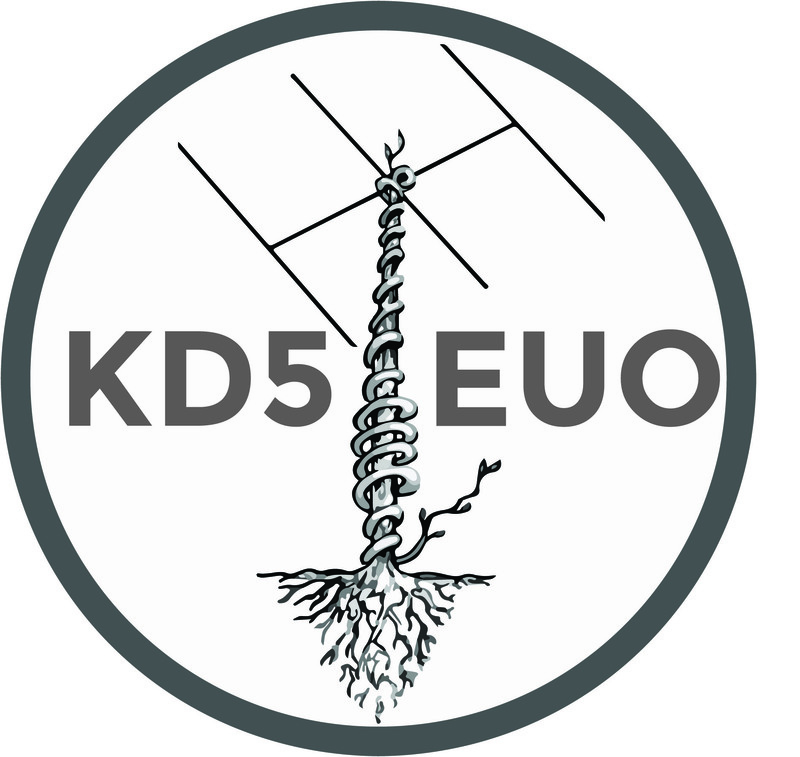 Here’s the latest version of the KD5EUO station. Every year the confederation of loose cannons known as “Los Chupacabraderos” heads into the woods to compete in the ARRL Field Day. 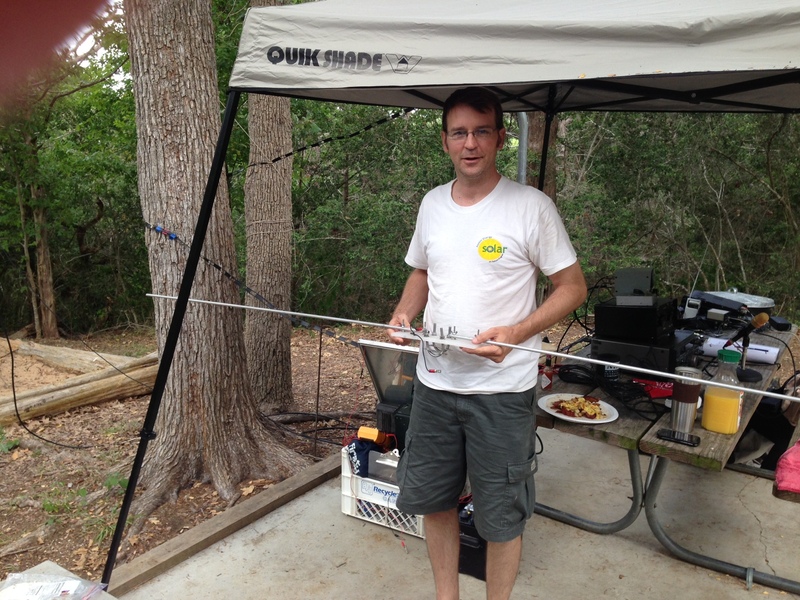 Fueled by venison and beer, we like to rough it and operate single transmitter, five watts power (QRP) on battery and solar power only, out in the woods in a secluded campsite in Central Texas. This is known as category “1AB”. 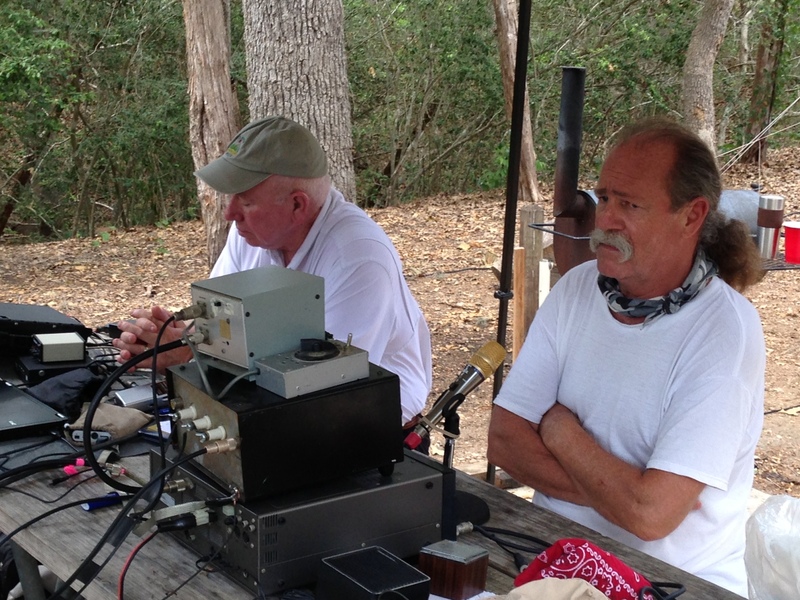 In 2013 operating as callsign K5AXW, we were first place in category in the South Texas division, and 7th place in category nationally. The event was hallmarked with voice, CW, and PSK31 QSOs on HF and six meters, some satellite work, a workshop on how to build a rigid six meter dipole, and a visit from the local constable. 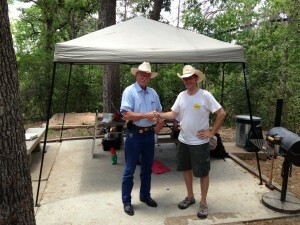 A photo & video montage of the event is here, courtesy of KC2QJA’s Flickr page. This venerable event always occurs the fourth weekend in June and is easily the largest amateur radio contest with tens of thousands of participants. It may also be the most fun you can legally have with a radio.